Alec is a veterinary student in the class of 2018 at the Ontario Veterinary College. Alec joined the Campus Estates Animal Hospital team as a veterinary assistant in March of 2015. 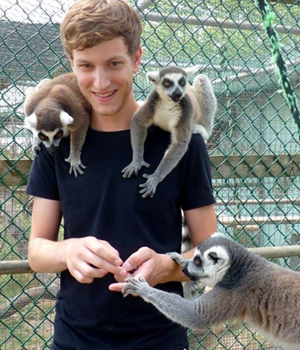 He graduated from the University of Guelph in 2014 with a degree in Biological Science and a minor in Zoology. Alec is specifically interested in the veterinary care of reptiles. At home, Alec currently keeps and breeds leopard geckos and poison dart frogs. On his time off, Alec enjoys camping, fishing, mountain biking and playing board games with family and friends.